This volume is one of a series of twenty-four from Time-Life Books that chronicles the history and culture of the Native Americans. 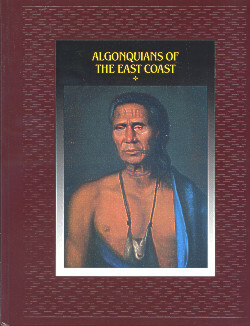 Algonquians of the East Coast details the history, culture, customs and lives of the tribes occupying America's Atlantic coast from the Canadian Maritimes to the Caroline capes---Comprised of dozens of distinct and diverse tribal homelands. The Micmac, Maliseet, Passamaquoddy, Abenaki, Wampanoag, Nipmuck, Narragansett, Pequot, Montauk, Lenape, Nanticoke, Piscataway, Powhatan and the Roanoke tribes are all represented through lavish illustrations, archival photographs and detailed essays.